.GURU – You want to be seen as an expert in your field? Do you aspire to become a recognized expert in your field? On one hand it requires thousands of hours of learning and practice, but secondly, it requires BRANDING. It demands that you have a platform from where visitors (future fans) can check out your content and profile. The new .GURU domain name will give you the cutting edge digital identity to make you stand out. 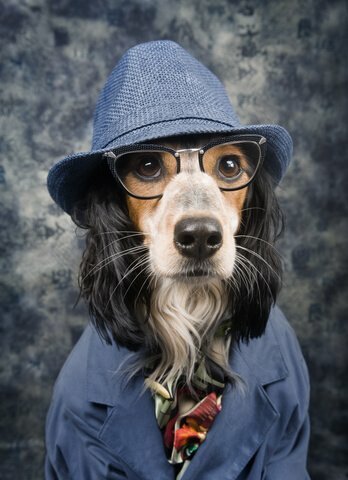 Marketing.guru or ClothesForDogs.guru communicates clearly, what your website is about, and that you are the expert. Are you an expert in dogs`clothes? Are you an expert in dogs' clothes? Historically a guru is a teacher or master coming from Indian religions. Today a guru is an expert in a general field whether this is marketing, beauty tips, self help etc. The word is so integrated in our language today that you can find requests on job boards such as "SEO guru needed" or someone is referred to as a "financial guru". If you still haven't exploited your valuable knowledge, then there are many great links to become a guru in your field. These websites can give you some inspiration: 4 Easy Ways To Become An Expert In Your Field How To Become a Guru Can my company use a .guru domain name? Yes. Today business is all about branding yourselves as the experts. While you surely have a great product to offer, it all starts by showing that you have the expertise to help out potential clients. Do you have leading in house experts in specific business areas? Do you let them speak on your website? While surely a corporate blog can show that you have expertise, however the .guru is a great domain to use for expert blogs by some of your leading co-workers. Planning to do a conference? Why not use .guru instead of .com for this marketing initiative? You should do what you can to stand out, and the .guru domain name will bring you a first mover effect. How do I get a .guru domain name? You can queue your .guru domain name directly in the search box at European Domain Centre. It costs EUR 20. We will block others fom applying for the same name, and directly contact you when we have the 1 year cost and other details. If you have a trademark which matches your .guru domain name, then you need to get your trademark certified first at the Trademark Clearinghouse (TMCH). Alternatively we can help you with the paperwork. It costs EUR 250 for a 1 year registration at the TMCH. On Oct. 29 the special rights period opens, and we can then apply for your domain name. Otherwise you have to wait two months to the general landrush. Share this content on social media channels! The Key-Systems GmbH and the Corporate Domain Portal BrandShelter offer you premium domain name services such as complete and worlwide domain registrations as well as outstanding brand monitoring services. European Domain Centre has been acquired by Key-Systems in 2017. All services are now available via BrandShelter. Key-Systems, domaindiscount24, RRPproxy and BrandShelter are registered trademarks of Key-Systems.